Provincial Administrator Alfonso Damalerio II minced no words as he challenged former Cabinet secretary and now gubernatorial candidate Leoncio Evasco, Jr. to order the raid on his home in Tagbilaran City for authorities to search for illegal drugs. Damalerio who has long been at the receiving end of drug allegations by the opposition threatened to “hang” Evasco on a flagpole if he could not produce evidence to back the accusations by the end of the month. “I challenge you Leoncio Evasco, I will give you until February 28. You produce evidence against me. I am opening my house, ipa-raid ko but sa usa ka kondisyon, kuyog ning tanang media nga nia dinhi,” Damalerio said during the Capitol’s weekly press briefing on Friday. “I’m calling on the PDEA, NBI, PNP, CIDG…until February 28. If you [Evasco] cannot prove on February 28, ichallenge ka nako. E-ugbok nako og balik ng flagpole na imong gitangtang sa Maribojoc, ikaw ibitay nako,” he added. Evasco, a former mayor of Maribojoc, previously ordered the removal of a flagpole which flew the Bohol flag at the town hall. 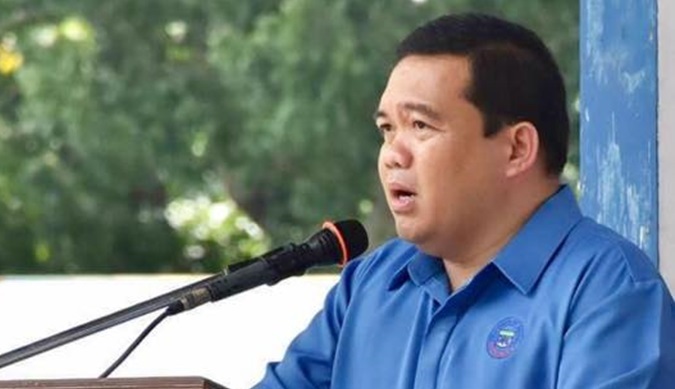 Damalerio, not known for bellicose rhetoric, issued the challenge after Evasco reportedly blamed the Chatto administration for the alleged proliferation of illegal drugs in Bohol. “Beside him [Chatto] is the provincial administrator who is behind drugs in Bohol,” Evasco reportedly said. Damalerio even announced his address to the public during the press conference which was aired live over multiple radio stations. While the opposition has long been alluding that incumbent officials in the province are included in the President’s so-called “narco-list,” none have so far been named to be part of the infamous drug list.